Nice beige suit with a teal tie and white shirt. Special and handsome. Each person has his own style.If you can find the style that suits you and belongs to you, you will be special. 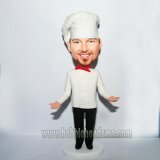 With this custom bobblehead, you can show how smart and handsome you are at anytime you want!! This customized bobblehead of a man in his favorite suit can be a good gift for yourself or for your smart friend. 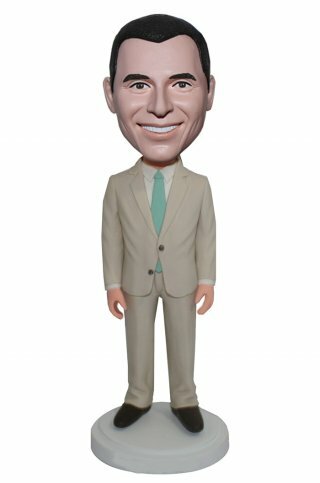 Have it now and abandon the lifeless black suit. Life needs more sunshine.LOL.